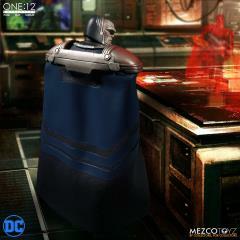 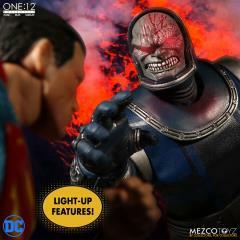 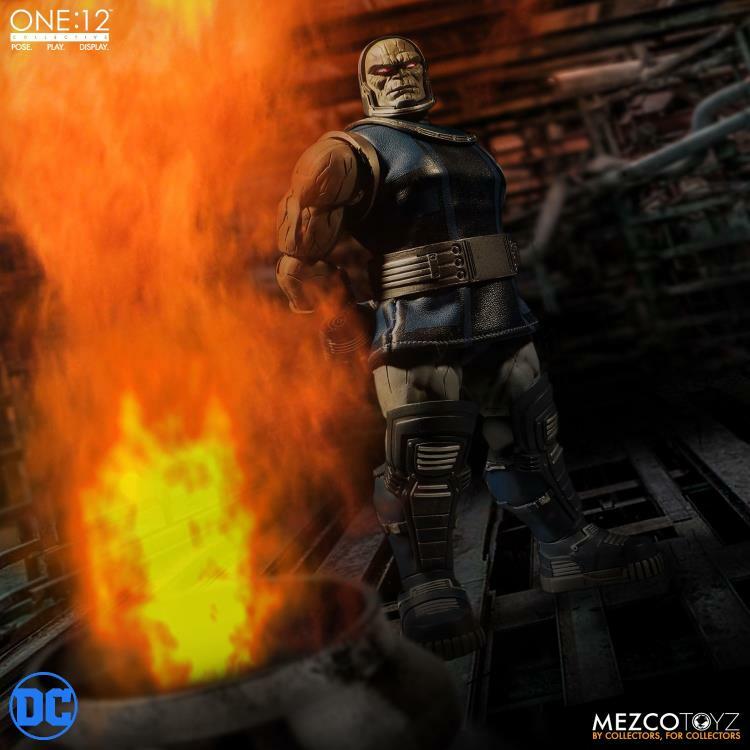 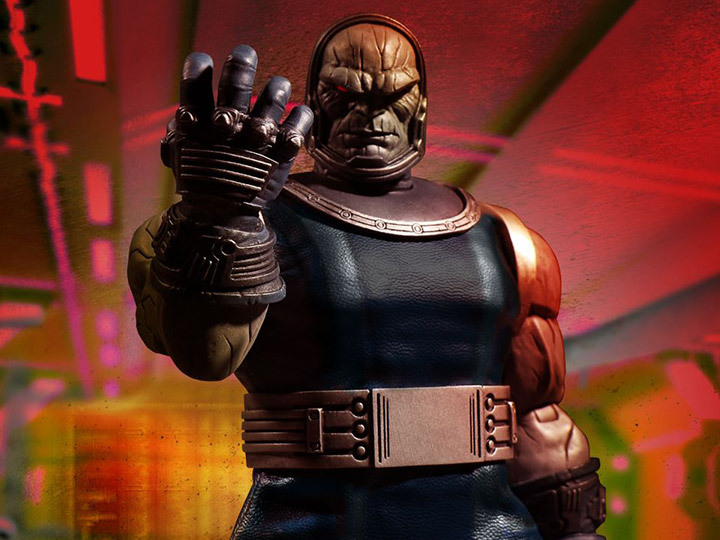 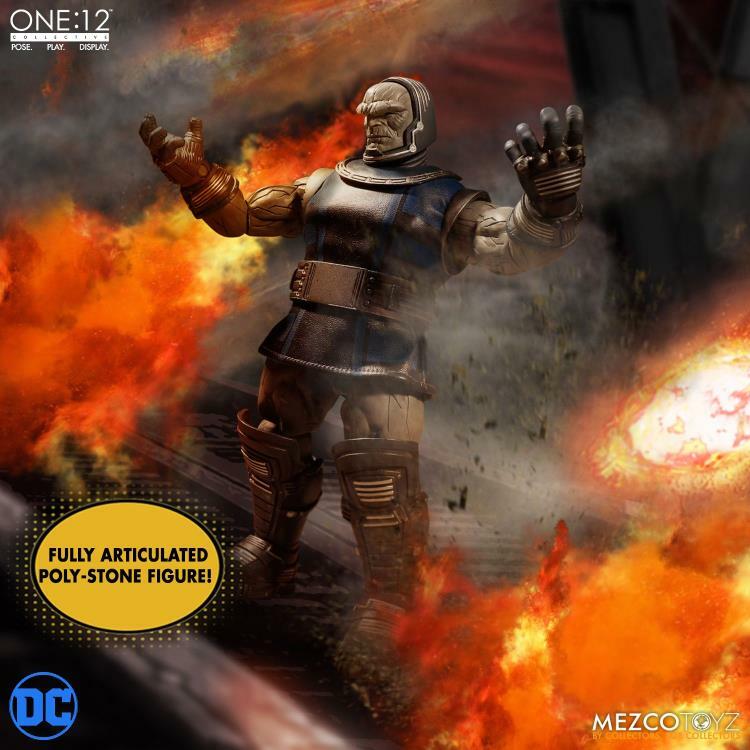 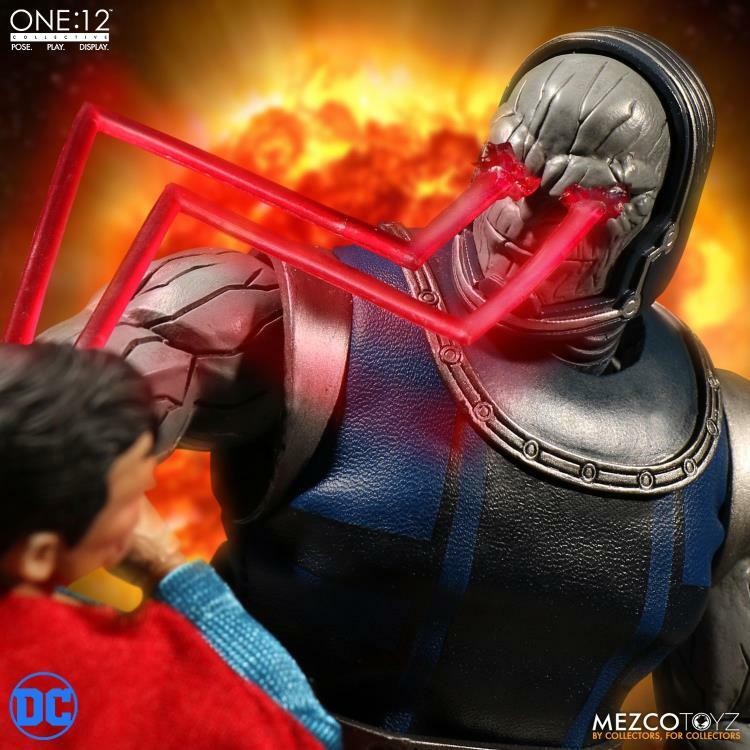 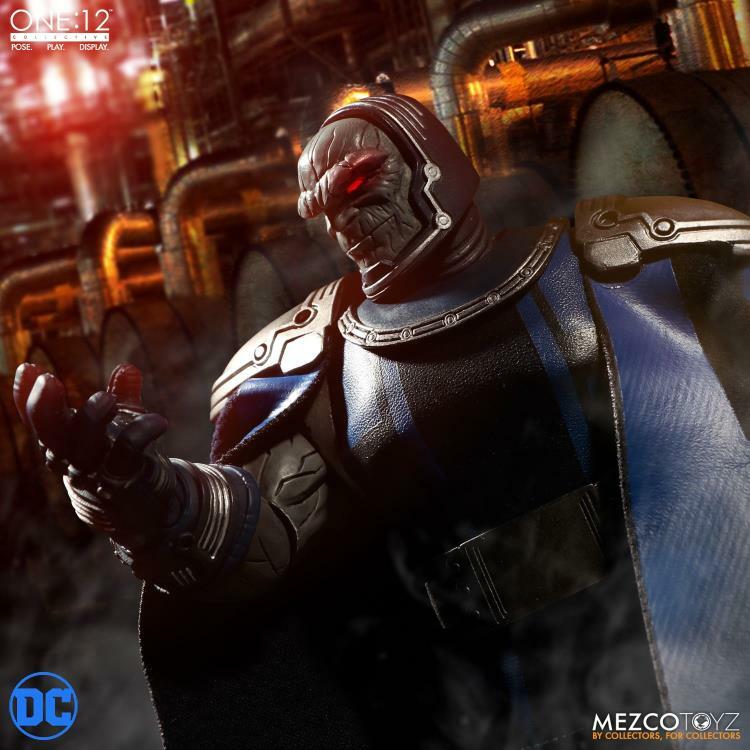 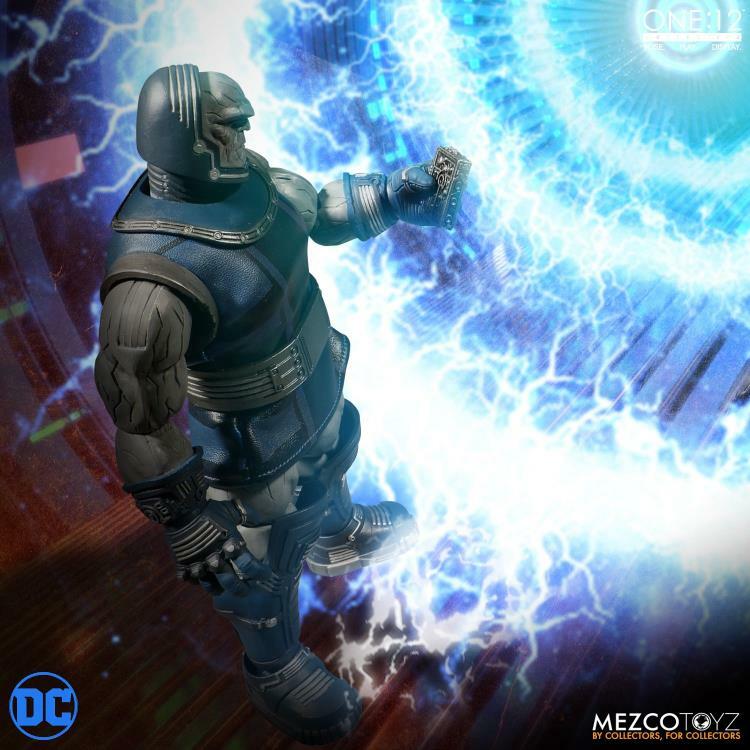 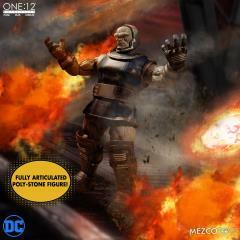 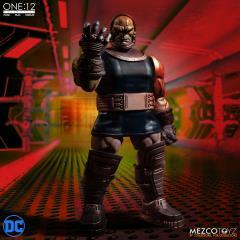 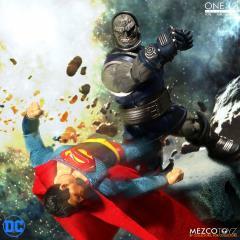 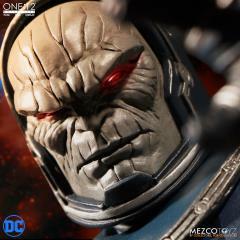 The One:12 Collective Mezco Darkseid figure is the first ever fully articulated Poly-Stone figure featuring a newly created One:12 Collective body that encompasses his immense stone physique. 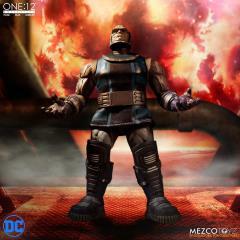 Incorporating magnetically interchangeable faceplates and light-up Omega Beam eyes, the DC Comics Darkseid action figure is primarily made of Poly-Stone with casted metal accents to achieve a level of authenticity never achieved with the character. 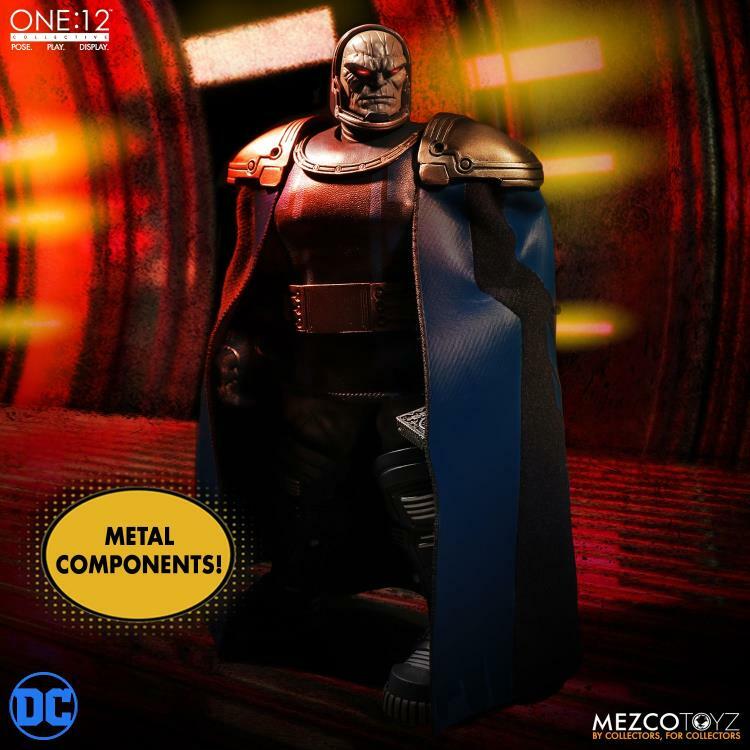 The tyrannical New God is clothed in his signature royal tunic with a real metal helmet, chest plate, waist belt, and includes an Apokoliptian ceremonial cloak with an armored harness. His sentient Mother Box super-computer is also made from metal and magnetically stores on the back of his belt.